Being a web design company, Vision Design knows the value of a professional, clean and lasting image. In today's extremely technology driven world, first impressions are usually also last impressions, and therefore, as a business, you want to ensure you make the best first impression you possibly can. Bill Gates once said, "There will be two types of businesses in 2002, those that are on the Internet and those that are out of business." This has now been shown to be 100% true. It is common knowledge that a strategically built website is crucial in taking your business to the next level. Further, choosing the right web design company can be the most important marketing decision your business will ever make. Vision Design is proud to be a 5-time Consumer Choice award winner in the web design industry with a proven track record of success. We do the job right the first time. Contact Vision Design today for your web design needs! 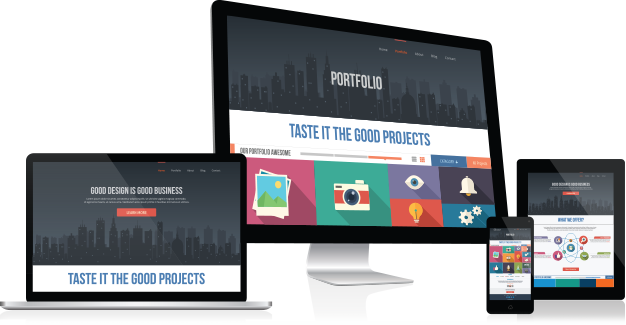 I would recommend Nhu to anyone looking to build a website because his work is second to none. I continue to get compliments on our website on a daily basis. I am glad that I called Vision Design to help me with my website and will be using them for all of the businesses that I engage in and create moving forward. I highly recommend them anyone. It was a pleasure working with Vision Design in building and designing our new website. They listened to our needs and carried through with all of our requests. Geraldo's would highly recommend Vision Design to anyone in need of such services. Geraldo's would highly recommend Vision Design to anyone in need of such services. Vision Design has been our web host provider and graphic design company for nearly seven years. We have found them to be highly professional at all times. They provide a level of customer service & responsiveness which is consistently outstanding. On behalf of The Directors College I would like to express our sincere appreciation, and thanks, to you, for the great service you consistently provide to us, in managing our website. I receive feedback on a regular basis, that all requests are handled promptly and efficiently. As we implement new initiatives, your experience and guidance, creates both time and cost savings for us. I have come to rely on Vision Design as our virtual marketing department for my business. Their exceptional customer service is surpassed only by their ability to meet the time-sensitive needs of a growing business. They can design and deliver quality professional ad copy, print material, multimedia and website development at great prices and on time, every time. Just a quick note to say thanks for the excellent work you did creating our second website with Vision Design. There are a lot of website companies out there that but in my experience none that pay as much to detail as you and your company. Your punctuality and attentiveness was/is much appreciated. I would like to express my sincere thanks to you and your creative team for designing my website "Papa's Kidz Trains." Your ability to listen to my unique needs and attention to specific details resulted in a website made just for me, "Papa." Comments from friends and family confirm my own feelings; my website truly mirrors my goals of putting a smile on every child's face.